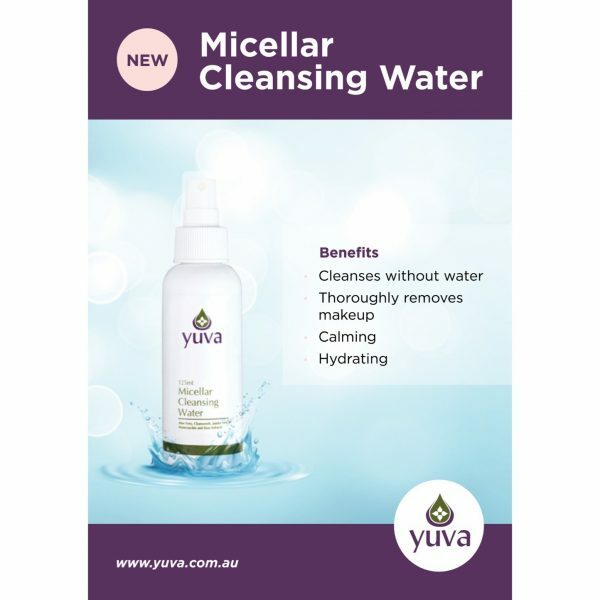 This cleansing water gently and thoroughly cleanses the skin quickly and easily, without the need for rinsing. With Aloe Vera, Chamomile and Rose Extracts to help soothe and hydrate, it leaves the skin feeling refreshed, clean and soft. Apply to a cotton pad and wipe over the skin, until the cotton pad comes away clean. Follow with recommended Yuva serum and moisturiser.